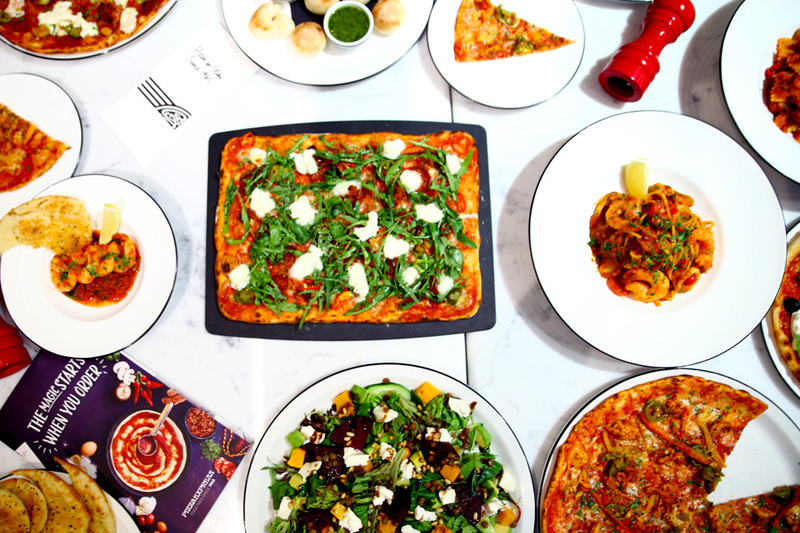 With over 50 years of history and more than 500 restaurants across the United Kingdom, Europe, Hong Kong, India and the Middle East, this is PizzaExpress’s first foray to Singapore. 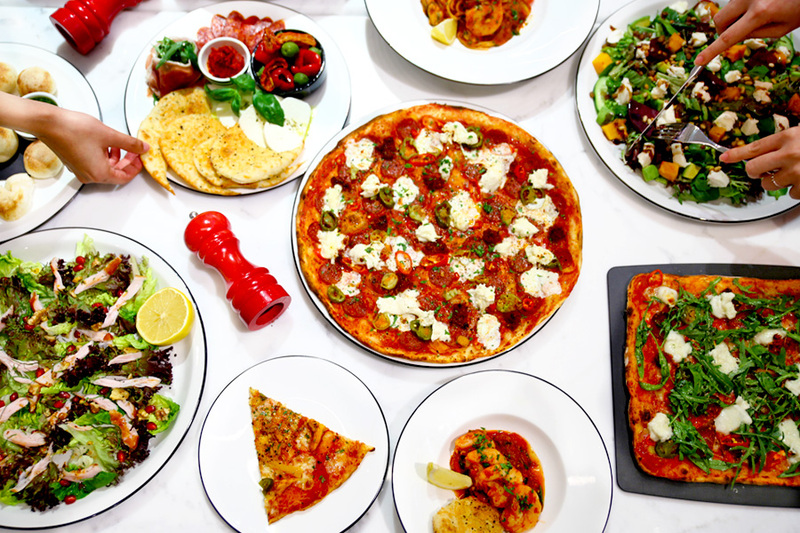 PizzaExpress specialises in handmade pizza, founded by Peter Boizot who opened its first restaurant in London’s Wardour Street after being inspired by a trip to Italy. Decor wise, the features include black and white logo, and use of signature monocromatic stripes for the uniforms and interior. 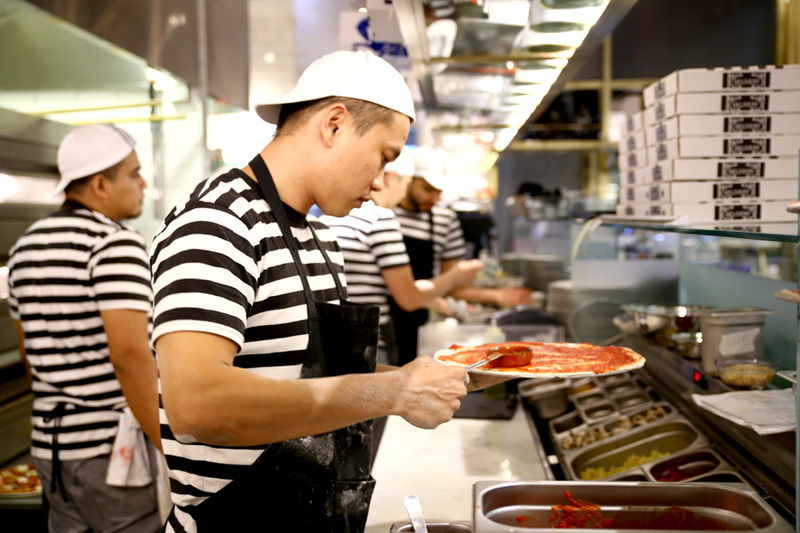 The secret to success, is said to be in the dough – all kneaded fresh, made in-house. My personal recommendation? 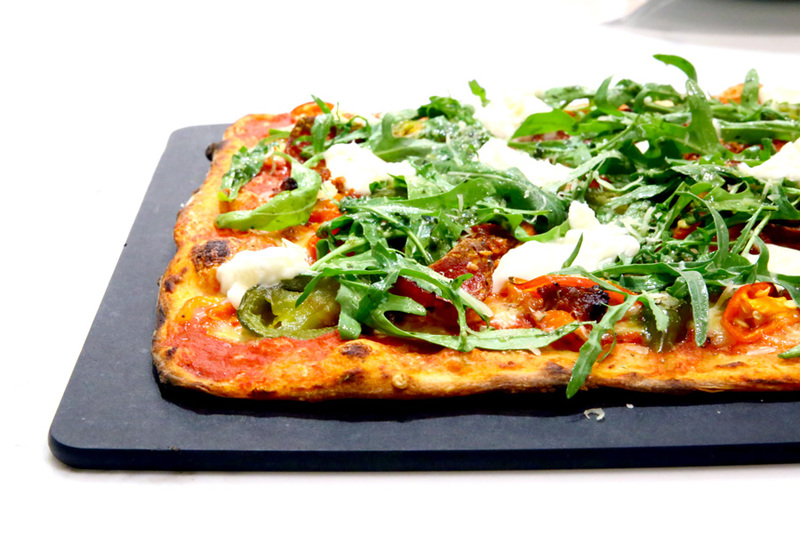 Definitely The “Hero Pizza” – The Calabrese ($26). 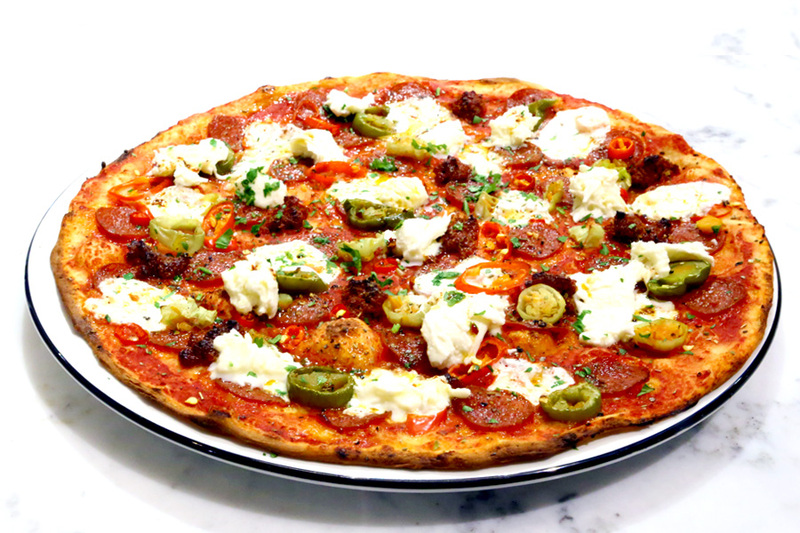 This contains toppings of Calabria-style sausage, spicy Italian sausage, fresh mozzarella, jalapeno peppers, roasted peppers and red chillis. 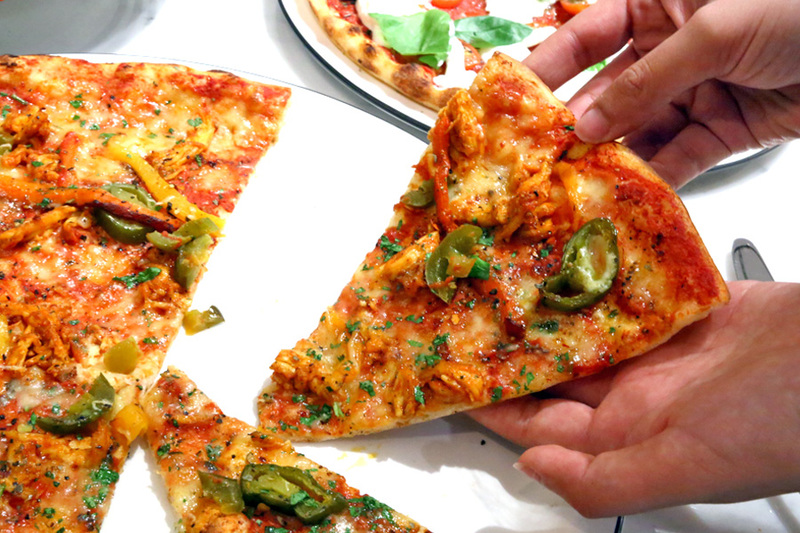 Two things I liked about this pizza, amongst others: That it is robustly spicy, and delightfully thin crusted. Calabria-style sausage is already known to be particularly spicy, added with jalapeno peppers, they make every bite excitable and gratifying. 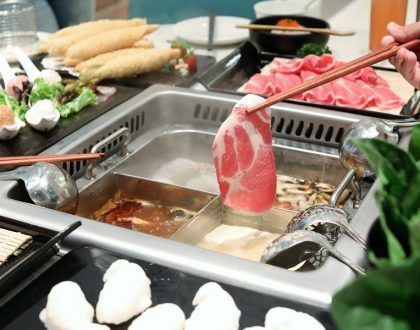 Singaporeans should like this – don’t we love our spices? It’s all about that base, ‘bout that base. 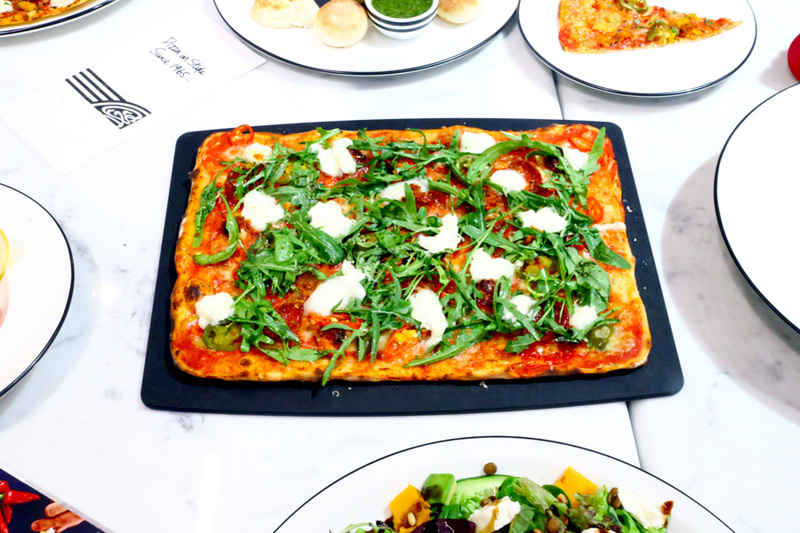 The signature dough of PizzaExpress is stretched, making it thinner and crisper (I like – not so heavy), so as to allow the full flavours of the ingredients to be brought out. 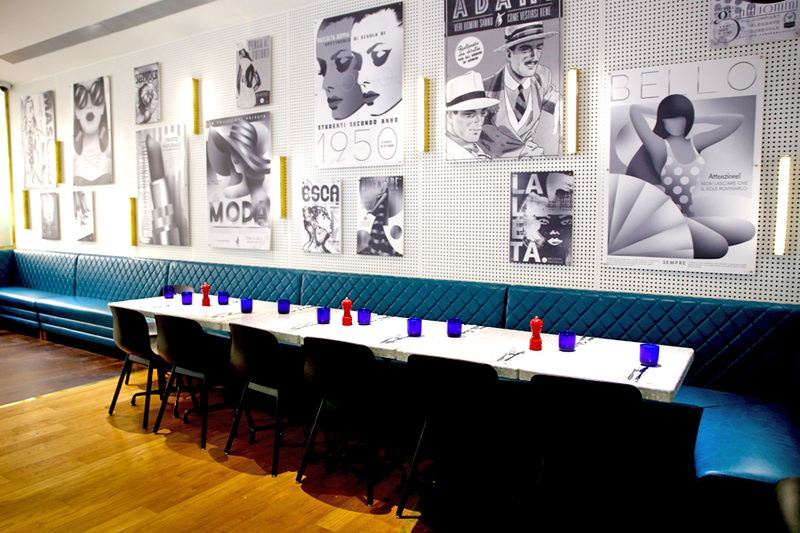 The American Hottest ($24) should be another crowd-pleaser. The portion is HUGE by the way. This contains pepperoni, hot green and roquito peppers, fresh red chill, spicy Italian sausage, passata and buffalo mozzarella. While the name may suggest that this IS HOT, I like to think it is ‘softly fiery’. Meaning not over in intensity, suitable for the group. My attempt to stay away from carbs (if possible) has proven to be furtile. 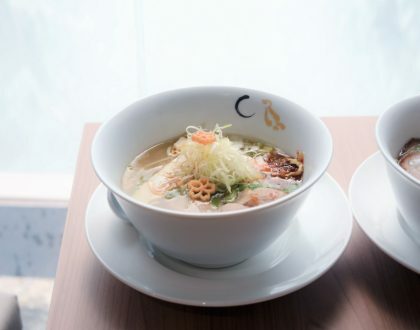 Is this what you call “umami”? 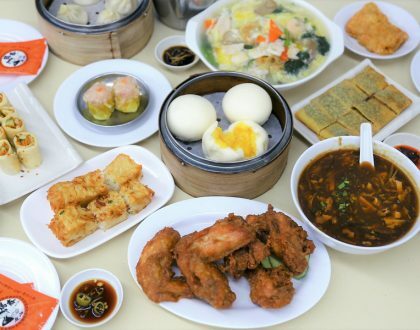 Maybe “shiok” may be a better word. 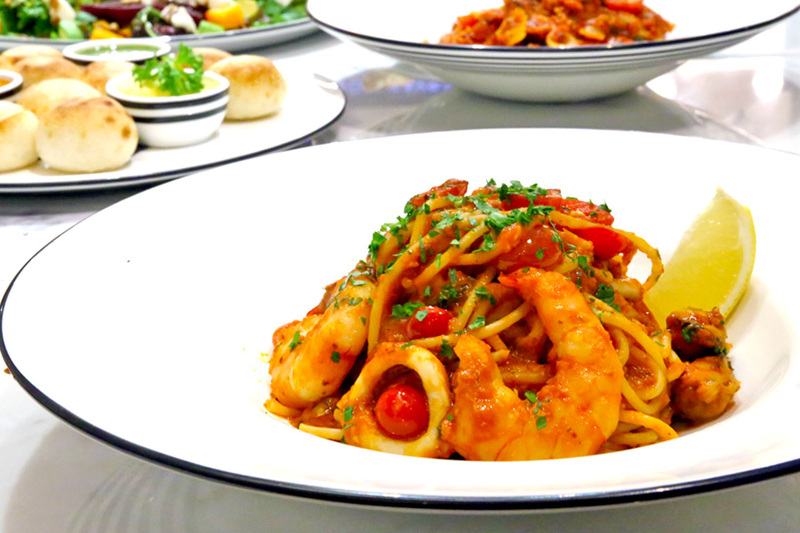 I like how saucy this pasta is, filled with thickened spiced Pomodoro sauce, coated evenly around the pasta which had large crunchy prawns, clams, mussels, squid all swimming in the dish. 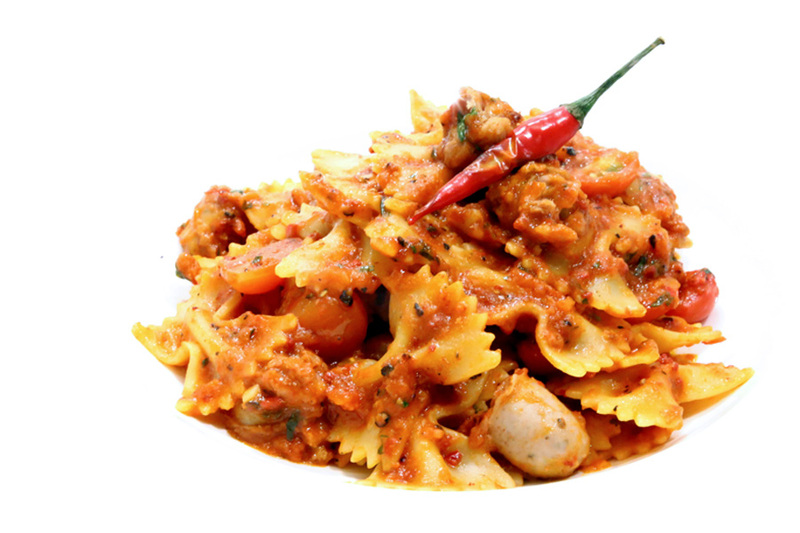 If you are a sausage lover, then go for this pasta which includes spicy Italian sausage and salami with fresh basil. The Pomodoro sauce is similar to the above, but this has a creamier take. Not kidding, I ta-baoed the salad back. Just LOOK AT THE PORTION of this salad. The Leggera Superfood ($13/$20) comes in this base plate as big as the pizza’s, and filled with some of my favourite superfood ingredients. There is spinach, cumber, fresh mozzarella, butternut squash in balsamic syrup. 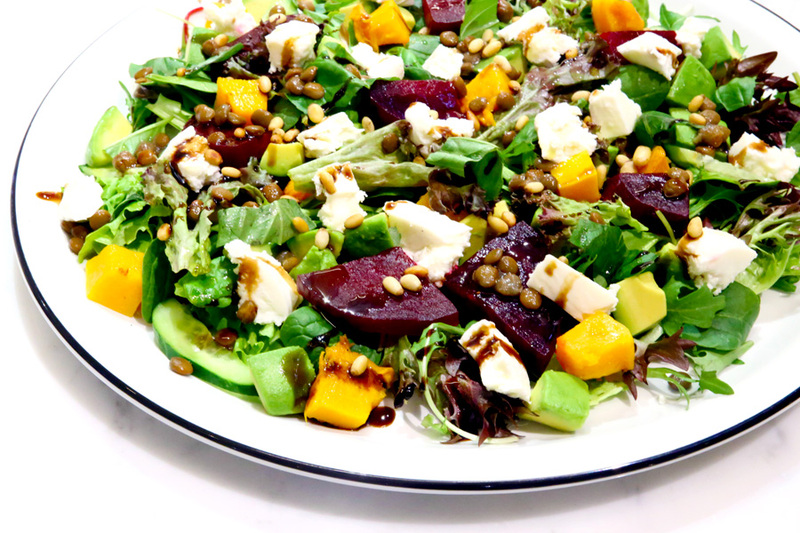 Comparing between the two salads, this has more ‘taste’ and protein. Smoked chicken is good for those who are building your muscles, and not eating beyond (Resistance is futile with the smell of the pizzas, I tell you). The base sauce is more tangy, with mint, olive oil, chilli oil and lemon juice. 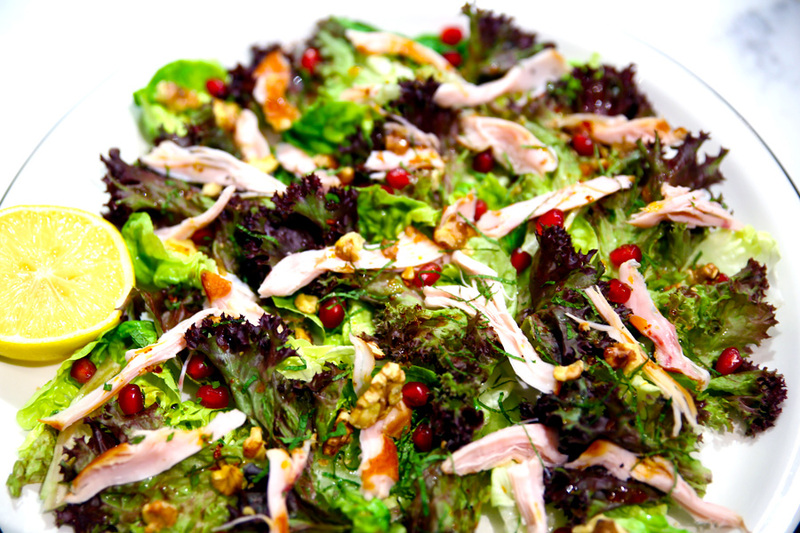 Oh, those purplish things you see – pomegranate seeds. Not commonly found in salads here. 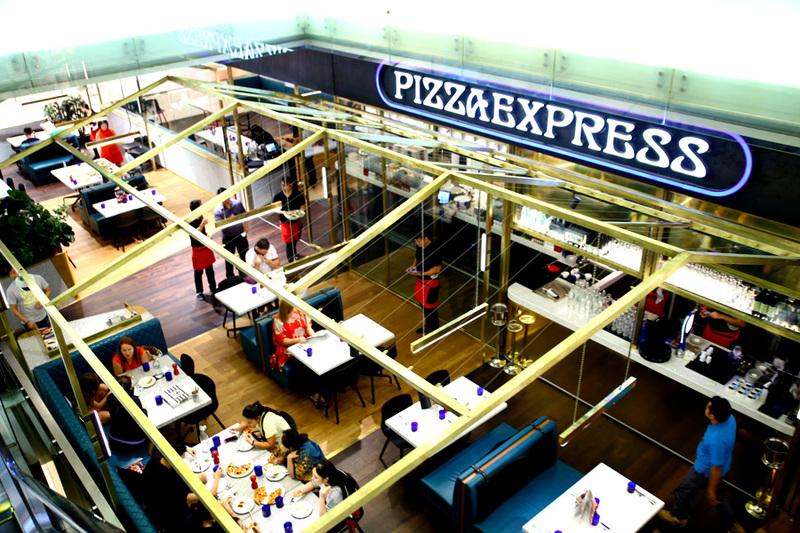 Friends who frequent London are already very excited about the opening of PizzaExpress in Singapore. * This entry is brought to you in partnership with PizzaExpress.